Charleston Wrap Fundraiser starts today! Our most important fundraising campaign of the year starts today and your help is essential! Teacher appreciation and much more! All funds raised above PTA budgeted expenses are donated back to the school. But only if we can count on the participation of parents like you! Simply put, we’re asking you to reach out to your friends and family and encourage them to shop for products in our fundraising catalog. The proceeds of every purchase will make a BIG difference in our fundraising efforts this year. There’s a lot of great stuff in this year’s catalog; with over 1,500 great products you can be confident that everyone you know will find something they like. Our fundraising sales only last a few short weeks! So do these quick, easy things today and let’s get our momentum going! Make checks payable to Buri Buri PTA. Tax is included in catalog list price so no need to collect extra. Turn in orders by Friday October 13, 2017. Purchases online will ship directly to you, catalog orders with cash or check will be delivered to students at school mid November. Extra catalogs and order forms available in the office. Over 100 Exclusive designs printed on Ultra-Heavy™ paper! Over 750 Items That Can be Uniquely Personalized Just for You! High Quality Kitchen & Home Items, Something for Everyone! Restaurant Night will occur at Ono’s Hawaiian BBQ and will benefit the Art-in-Action program, located at 970 Serramonte Boulevard in Daly City on Tuesday, September 12, 2017, from 2:00pm – 7:00pm. Come get some spam musubi snacks for your child(ren) after school, and pick up a meal for an easy dinner. 50% of all proceeds benefit the school and will help fund the ART – IN – ACTION program. 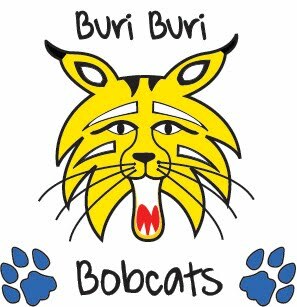 These Restaurant Night fundraisers provide a wonderful opportunity for Buri Buri families to meet other parents and their children in your school community, and to support a program at Buri Buri Elementary School. Enjoy great food in the dining area or take it to go if you wish. A flyer will be provided to your child prior to the event or you can print one here: PRINTABLE FLYER Please make sure to present a physical flyer at the time of purchase so that your Buri Buri PTA can collect a portion of the proceeds. To ensure that they credit your purchase to our fundraiser, check your receipt for a comment of “fundraiser”. Thank you for your help in making this event a success! Please send us an email with your thoughts regarding Restaurant Night at buriburipta@gmail.org. All suggestions are welcomed. Let us know where you’d like to see the next Restaurant Night! Please join us on Thursday Sept 7 at 6:30pm in the cafeteria for our first official PTA meeting of the year. Kids are welcome to attend and refreshments will be provided. On spirit days, students can wear something with their favorite Disney character, superhero, animal, sport (or sports team), or Star Wars character on it. On Crazy Hair day, students can tap into their creativity and come up with wild hair styles. For Book Character day, we encourage students to dress up as their favorite book character and lastly on School Colors day, students can wear blue and yellow or something with the Buri Buri Bobcat on it.